Human culture depends on our ability to disseminate information, and then maintain and access it over time. 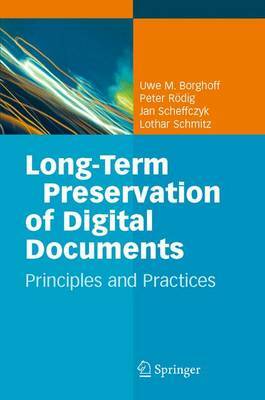 This book addresses the problems of storing, reading, and using digital data for periods longer than 50 years. They offer concise descriptions of markup and document description languages like TIFF, PDF, HTML, and XML, explain important techniques such as migration and emulation, and present the OAIS (Open Archival Information System) Reference Model.